Are you sure you want to remove The Influence Of Wealth In Imperial Rome from your list? "OF the year 33 A.D. it may possibly have been recorded in the diaries of certain Roman business men, that there was a disturbance in the remote province of Judaea-a tumult quickly quelled by the energy of his excellency Pontius Pilate, the governor, who seized and crucified one Christus, the chief malcontent, and two bandits, his accomplices." 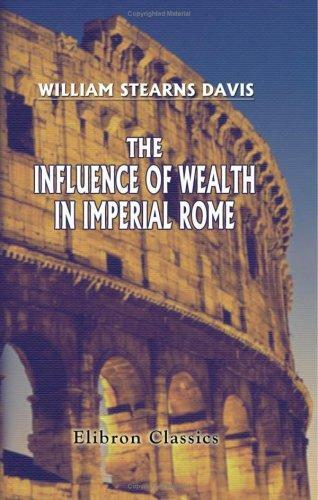 The influence of wealth in imperial Rome.